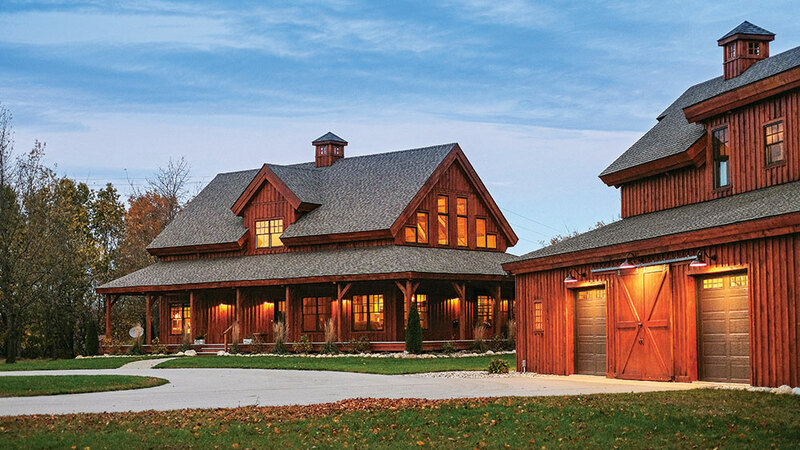 There’s a reason barn-style homes have stood the test of time. 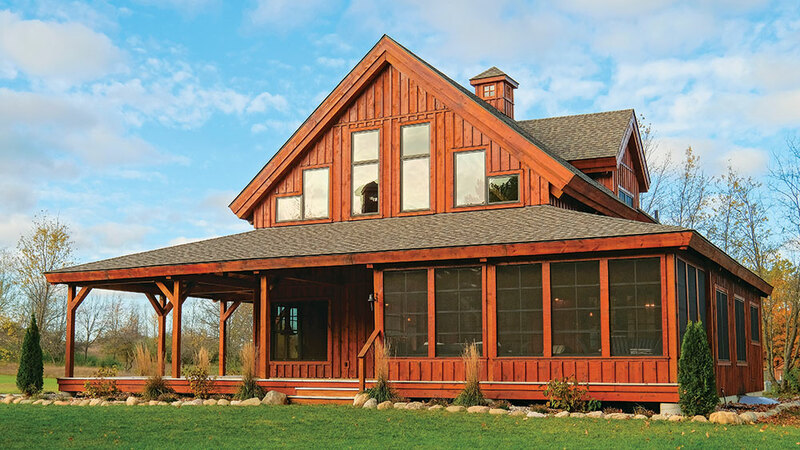 Charming, spacious and incredibly flexible in their design, these homes pair function with modern open-layout living — a fact that was especially appealing to the owner of one lakeside timber home in Michigan. 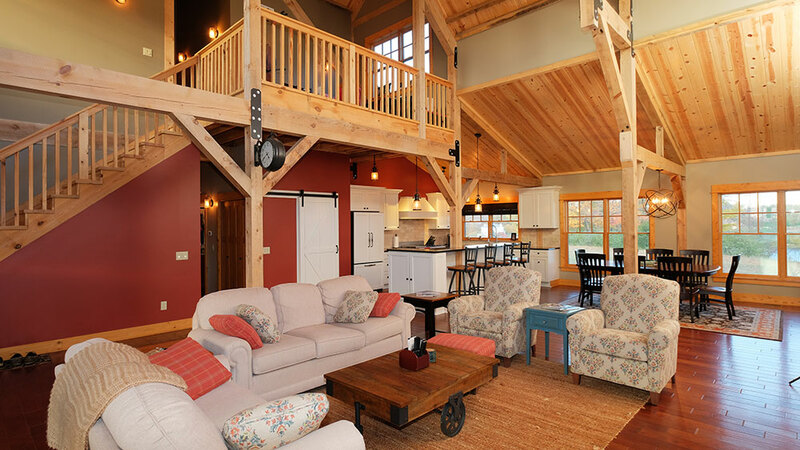 After some online research, the owner found a nearly perfect floor plan: Sand Creek’s Ponderosa Country Barn Home. 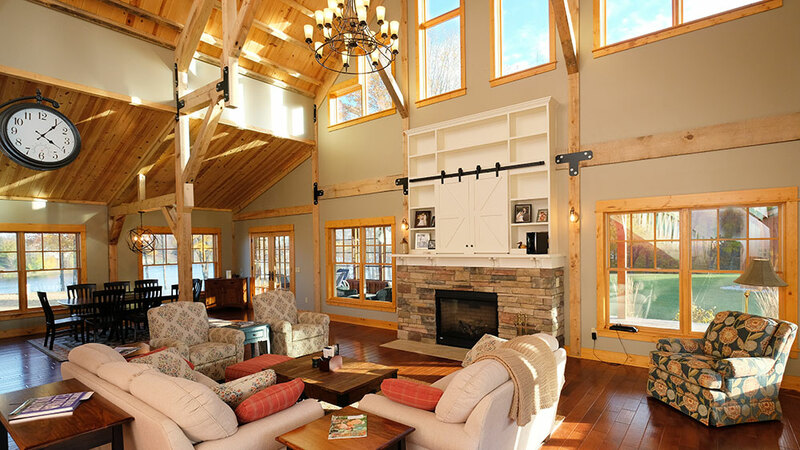 He then worked with Sand Creek’s design team to tweak the design, adding a full wraparound porch and an enclosed 12-foot lean-to area in the great room. 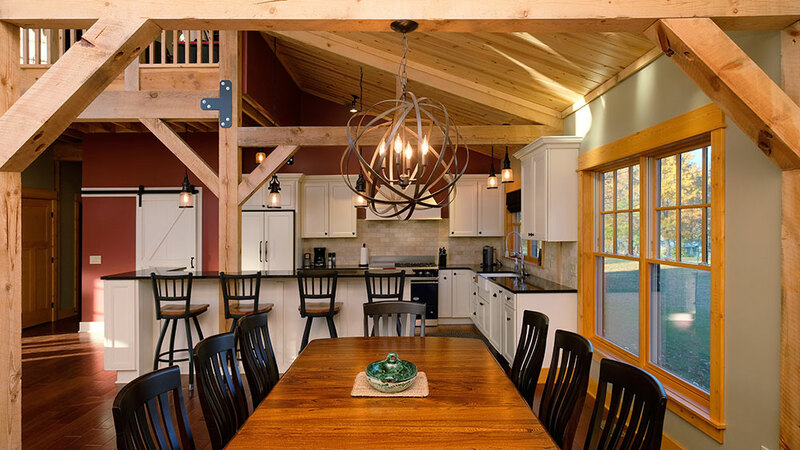 These customizations, paired with the fully exposed Ponderosa pine timber frame and windows, lend an airy, open feel to the 2,800-square-foot home. The house serves as the owner’s primary residence, and a simple second-story loft with two bedrooms and a full bath provide plenty of privacy when guests come to stay. 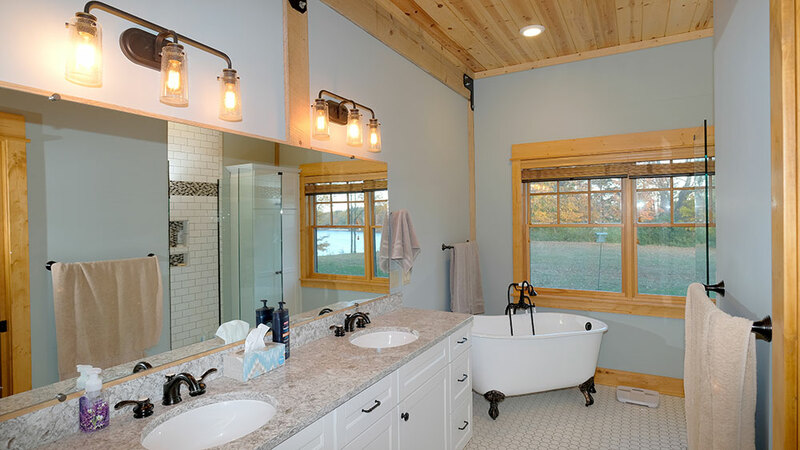 The main-level master suite is a smart solution for aging in place and means the owner can live primarily on the first floor when he has the house to himself. The stepped windows usher in loads of natural light to the home’s main level and loft space. Part of the full wraparound porch is screened for protection from the elements, including weather and critters native to the region. 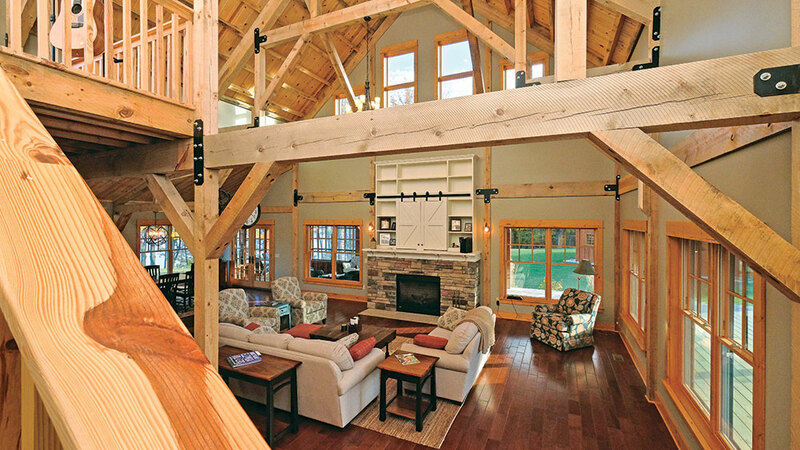 The full Ponderosa pine frame takes center stage in the home’s main living areas. 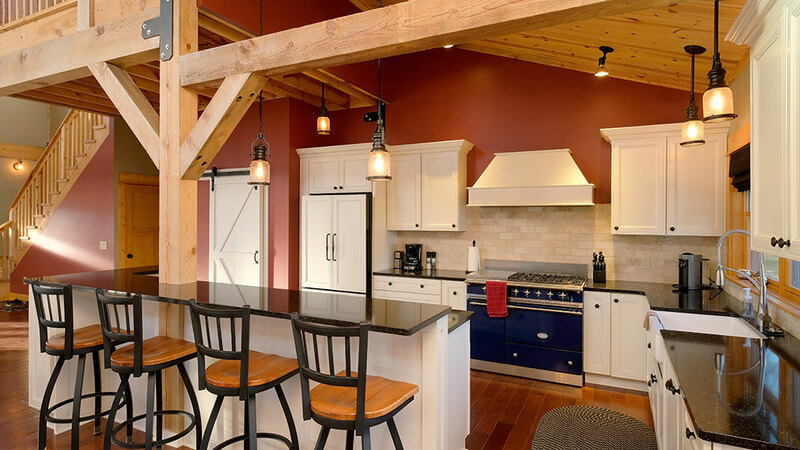 Cathedral ceilings and windows on every wall add to its open and airy feel inside. extra storage and sleeping space. Bright white cabinets pop against the home’s otherwise warm farmhouse hues. 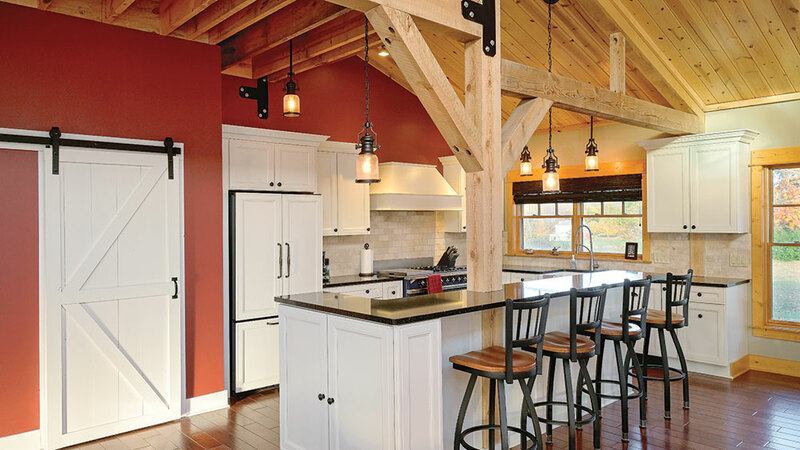 Most of the kitchen is positioned underneath the 12-foot lean-to that was added to increase the home’s livable square footage.